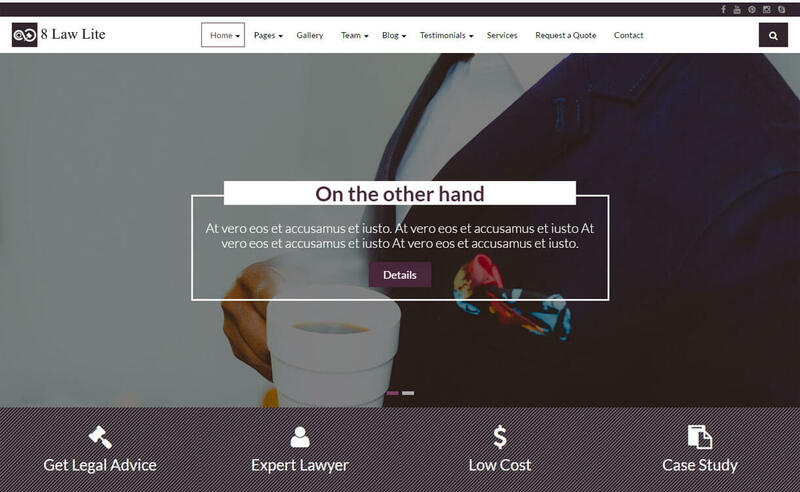 Here is the handpicked collection of best free WordPress law themes, especially designed for lawyers, legal firms, private attorneys, and other law related business owners. The themes listed here are versatile, highly customizable, responsive and easy to use. Hey Buddy!, I found this information for you: "EightLaw Lite". Here is the website link: https://wpallclub.com/wp-themes/eightlaw-lite/. Thank you.